ELLISTON — The 212th day was a lot like the first, which for foes of the Mountain Valley Pipeline was a good thing. 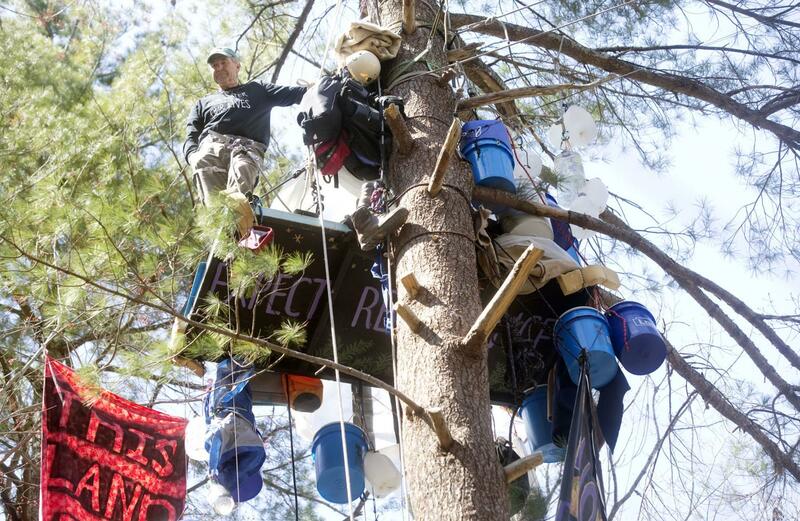 Since Sept. 5, 2018, two people have occupied tree stands in a white pine and a chestnut oak, perched about 50 feet off the ground while supporters camped on the ground sent up food and water in plastic buckets and kept watch over the peaceful protest. On Thursday, they celebrated another day of blocking tree-cutting for the controversial natural gas pipeline, which is destined to run across this wooded slope in eastern Montgomery County on its way from northern West Virginia to Chatham. One thing new to the scene was 69-year-old Scott Ziemer, who earlier in the week climbed up the white pine to replace another protester. He joined Phillip Flagg, a millennial who has been living in the oak tree since October. For Ziemer, Flagg and the protesters who preceded them, the tree-sit is now the longest active blockade of a natural gas pipeline on the East Coast, according to Appalachians Against Pipelines, a group that has helped organize the effort. A resident of Albemarle County, Ziemer has been an opponent of the Atlantic Coast Pipeline, a similar project slated near his home. “The more I dug, and the more I learned, the more I realized that it didn’t seem like a good idea,” he said of a pipeline that will increase the country’s dependence on fossil fuels, which generate polluting greenhouse gases. Over the years, Ziemer has held a number of outdoor occupations that prepared him for his most recent post. He has worked as a carpenter, a builder and facilitator of ropes courses, an arborist, the owner of an outdoor adventure business and most recently as a sailing instructor. The biggest challenge so far, he said, is confining his 6-foot-4 frame to an 8-by-4-foot structure than moves in the wind a little like a sailboat. Like Flagg, Ziemer was reluctant to say how long he plans to stay in his tree, or under what conditions he might agree to come down. “I’ll continue my resistance to the pipeline, regardless of what happens,” said Flagg, who stuck his head out of a tarp covering his tree stand for an interview. Mountain Valley broke ground on the 303-mile pipeline a year ago, but quickly ran into problems controlling erosion and sediment from its linear construction zone. A lawsuit filed by the Virginia Department of Environmental Quality and the State Water Control Board alleges more than 300 violations of regulations. Mountain Valley must also regain two key permits, thrown out last year on challenges from environmental groups, if it is to achieve its goal of completing work by the end of the year. About a dozen other protesters, who have sat in trees or chained themselves to construction equipment at various points along the pipeline’s route, have come down voluntarily or been removed by police over the past year. 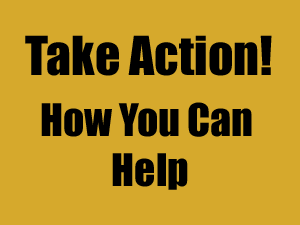 In December, attorneys for Mountain Valley filed a request for a preliminary injunction against the tree-sitters on Yellow Finch Lane in Montgomery County, asking a federal judge for assistance in having them removed by members of the U.S. Marshals Service. Judge Elizabeth Dillon has yet to rule on the request. “The MVP project team is awaiting a ruling from Judge Dillon regarding the previous hearing and we do not have additional information or plans regarding any persons who may or may not have taken the place of existing opposition,” Mountain Valley spokeswoman Natalie Cox wrote in an email Thursday. At the last hearing in the case, held in January, Mountain Valley officials testified they had told two people — identified in court records only as “Tree-sitter 1” and “Tree-sitter 2” — that they were blocking the construction easement, which the company had earlier gained access to though an eminent domain filing against landowner Cletus Bohon. With no ruling from Dillon after more than three months, the protesters are staying put. “By occupying a tree-sit in the path of the Mountain Valley Pipeline,” Ziemer said, “I am adding my voice to those who are fighting to slow down and stop the burning of fossil fuels, which are the primary cause of climate change. Stretching from the white pine tree at the Yellow Finch Camp in Elliston, Virginia, to the hands of a group of students on an alternative spring break from Delaware, the strand of Mountain Valley Pipeline (MVP) flags represent all of the named waterbodies that would be destroyed by the MVP. A group of students from Delaware, in SWVA on an alternative spring break, was introduced to what active non-violent resistance to fracked gas pipelines feels and looks like in Virginia. Thank you, Appalachians Against Pipelines, for standing strong with over a year of aerial resistance to the MVP. Thank you to tree sitters! So glad to see you are still there.